While the Silver Spurs are hard at work finishing out their season, meetings for the 2019-2020 team are just around the corner. All spur hopefuls and a guardian must attend one of the two meetings: January 24th or January 28th. 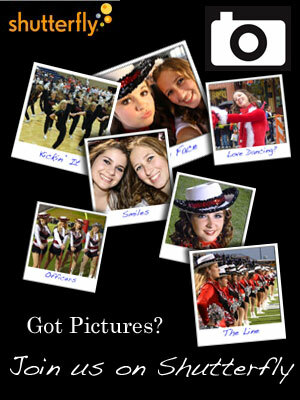 Both will take place at 7 p.m. at the MISD Performing Arts Center. We hope to see you there! The Silver Spurs finished football season only to transition straight into a very busy Christmas season! The girls participated in the Mansfield Holiday Parade, performed at Toys for Tots, and volunteered to ring bells for Salvation Army. 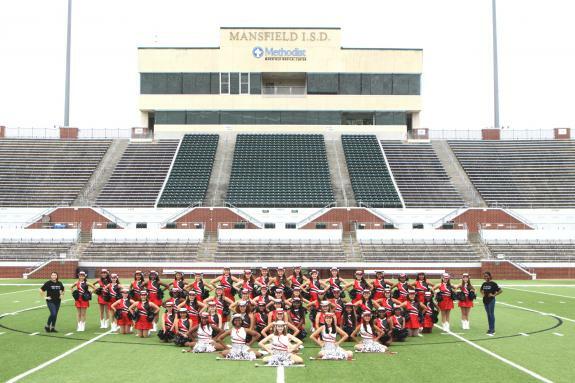 On Friday, December 14th, both the Varsity and JV teams will be touring to multiple locations including Nancy Neal Elementary School, Mary Jo Sheppard Elementary School, MISD Children's Center, and the MISD Administration building. The Silver Spurs are kicking off the school year with lots of hard work and many exciting performances to show for it! The varsity Spurs recently traveled to Oklahoma for the first game of the 2018 football season. Although everyone was exhausted from traveling the whole day, the girls were still cheering them on throughout the entire game! Also, we have started our Jr. Silver Spur program for this season!